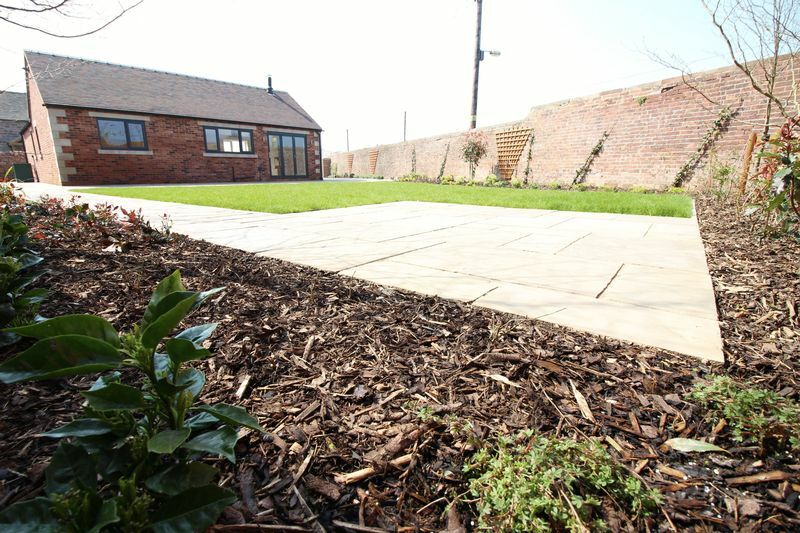 Spacious landscaped gardens, Indian stone flagged patio. 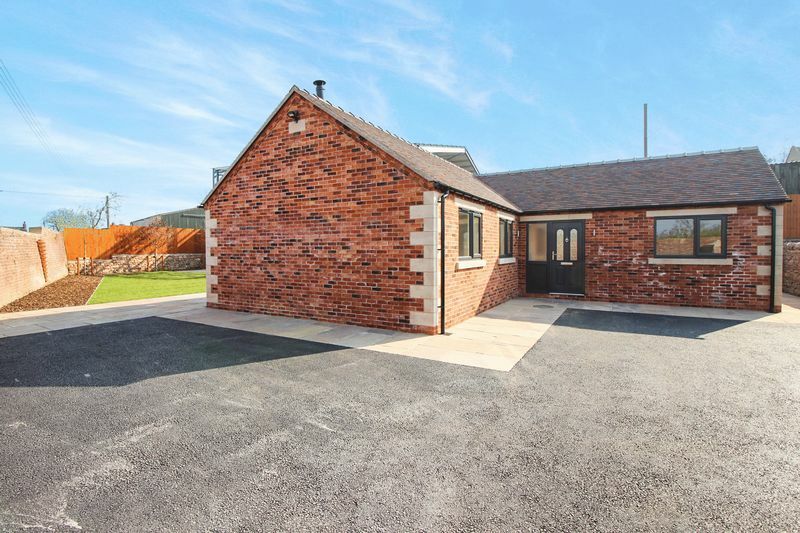 This spacious three bedroom detached bungalow is finished to an exceptional standard with high quality fixtures and fittings throughout. 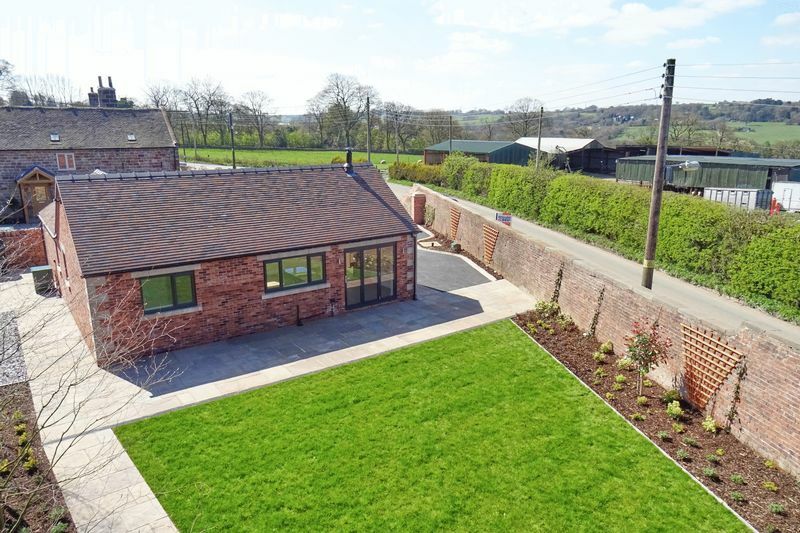 Situated on the fringes of the popular village of Cheddleton, The Orchard boasts a larger than average plot with ample off road parking to the front and side elevation which leads to the landscaped gardens located to the rear. Cleverly designed to make the most of the location the patio is split into two parts to ensure a "sunny spot". 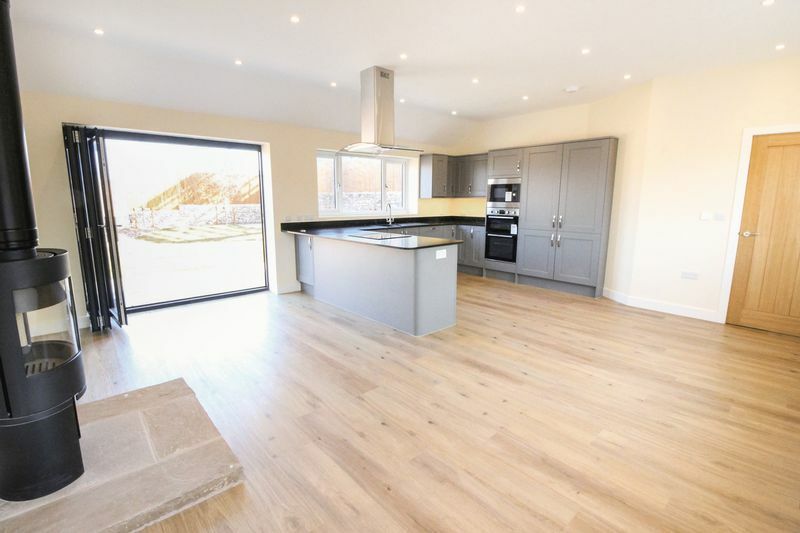 Internally the wow factor is the open plan Living Dining Kitchen with which has been well designed to offer a horseshoe shape Kitchen area which opens to the Dining and Living space. 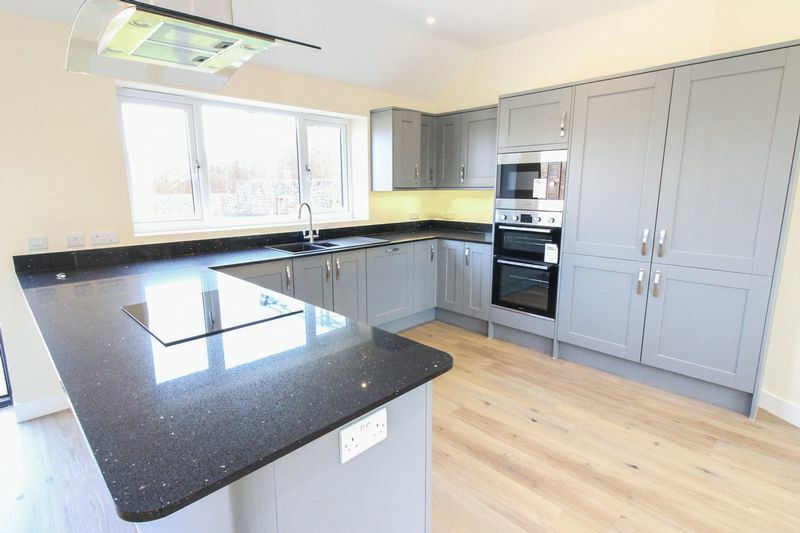 The kitchen is fully equipped with integrated appliances throughout and Quartz work surfaces. 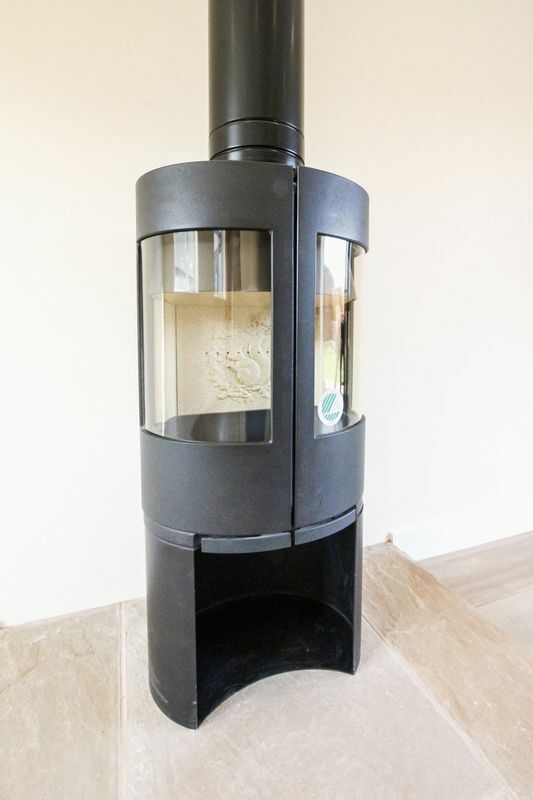 The Living and Dining Area have the advantage of the freestanding contemporary multi fuel stove which is the focal point and the bi-fold doors to the rear garden encourage that alfresco feeling. 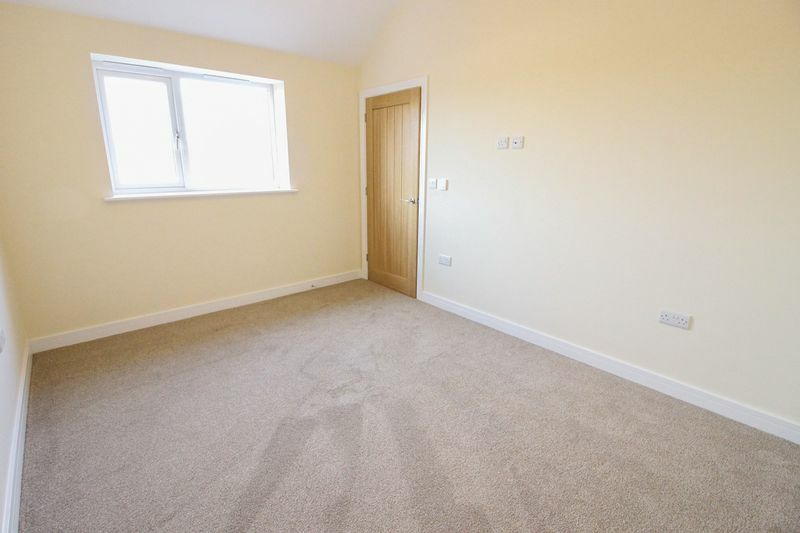 The well appointed bedrooms offer TV points throughout and the fully fitted family Bathroom offers a spacious feel with high quality fittings. Antiquo flooring is laid to the main thoroughfare with carpets in the bedrooms and all rooms benefit from under floor heating. A home which will NOT disappoint. Viewing is a MUST. Having external door to front aspect incorporating leaded light glazed panel and matching side panel, antiquo flooring. Kitchen area having excellent range of bespoke kitchen units with Dove Grey finish and brushed chrome fittings there too comprising base cupboards and drawers incorporating a range of integrated Lamona appliance comprising integral fridge freezer, integral brushed chrome double oven with matching brushed chrome microwave over, integral dishwasher, integral automatic washing machine, integral tumble dryer. 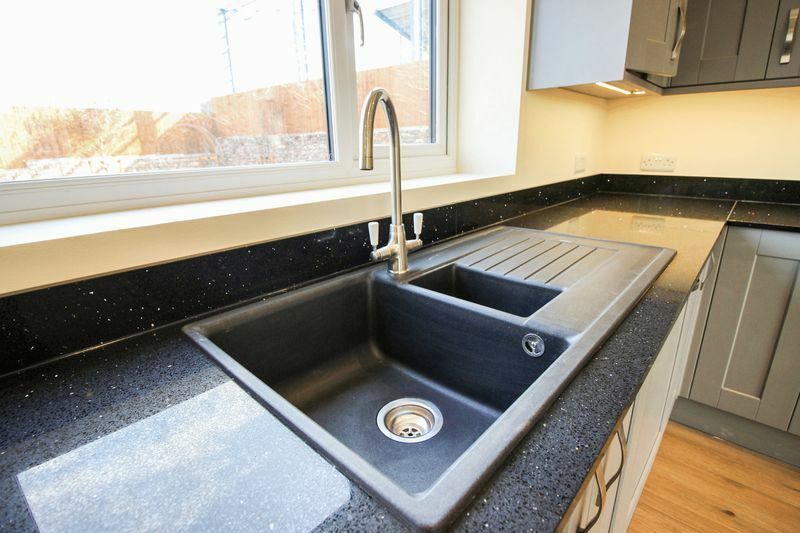 Polished quartz work surfaces over having inset four ring Lamona induction hob, one and a half bowl sink unit with brushed chrome mixer over, matching quartz splash backs, range of matching wall cupboards. Ceiling mounted chrome and glass canopy incorporating extractor fan with concealed lighting. UPVC double glazed window overlooking rear garden. 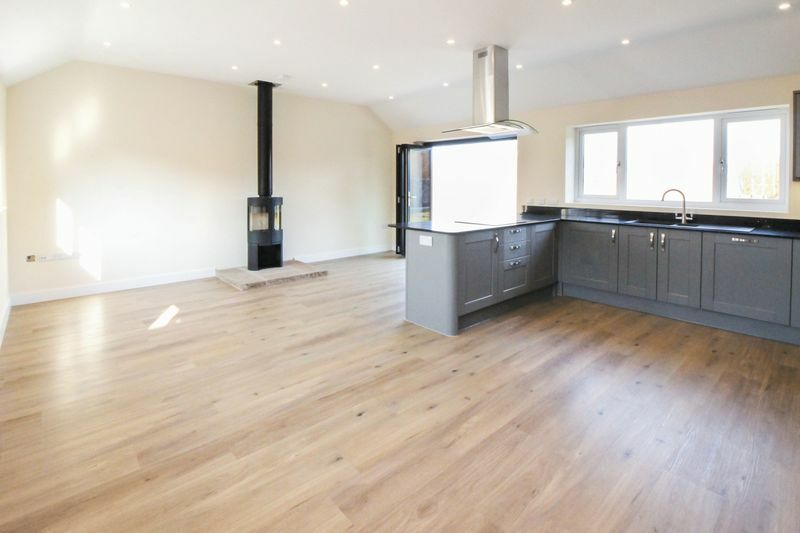 Adjacent living/dining area incorporating two UPVC double glazed windows to the front aspect, bi-fold doors overlooking rear garden, Morso curved contemporary stove with decorative back panel and double glass doors set on stone flagged hearth, Antiquo flooring. Wall mounted television point and thermostat. Having UPVC double glazed window to front aspect, wall mounted thermostat, wall mounted television point. 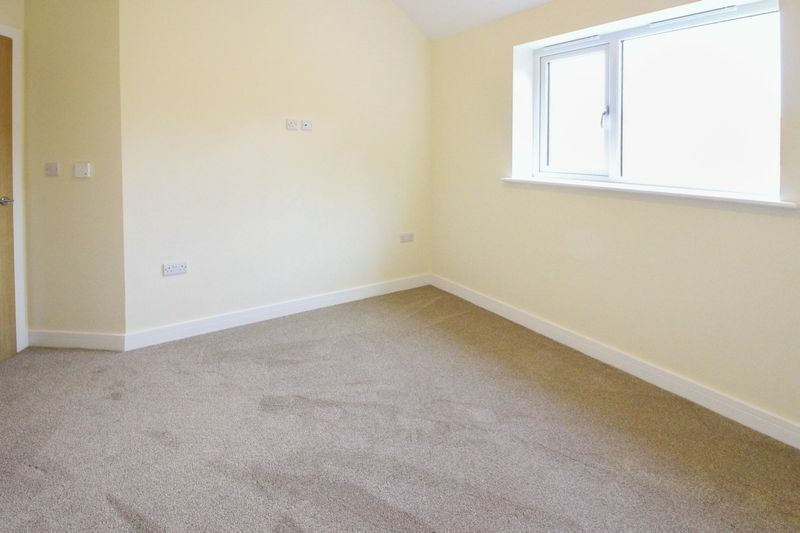 Accessed from entrance hall having access to pipework for under floor heating, Antiquo flooring. 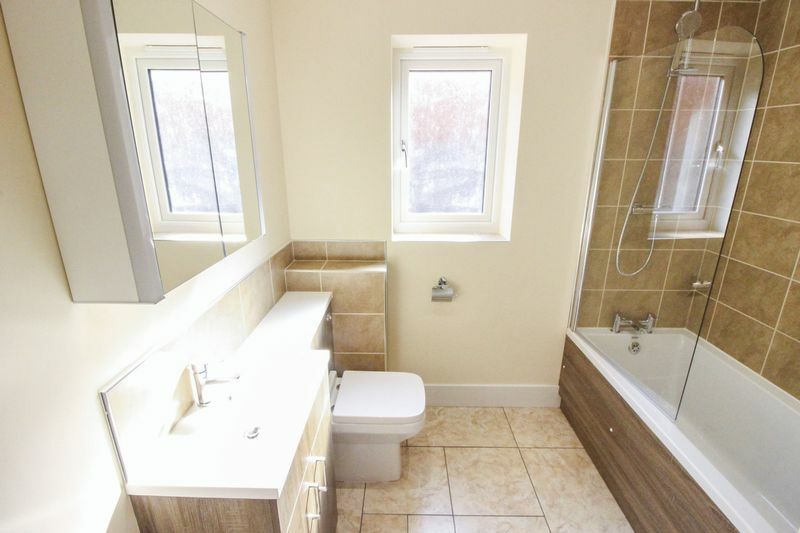 A white suite comprising Gensis panel bath with chrome mixer tap and chrome dual shower head over, wash hand basin set in vanity unit with chrome mixer tap over and cupboards beneath, low level WC, wall mounted bathroom cabinet with mirrored doors and inset lighting, UPVC double glazed window to rear aspect set on tiled sill, extractor fan, flat panel radiator with triple chrome towel bar, wall mounted thermostat, ceramic tiled floor. 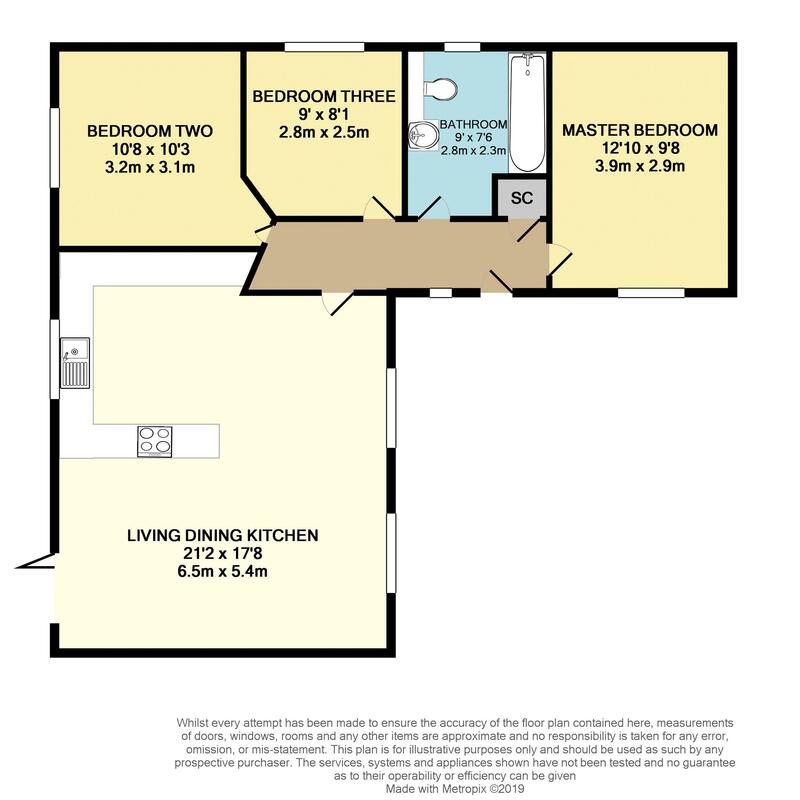 Having UPVC double glazed window overlooking rear garden, wall mounted thermostat, wall mounted television aerial point. UPVC double glazed window to the side aspect, loft access, wall mounted thermostat. 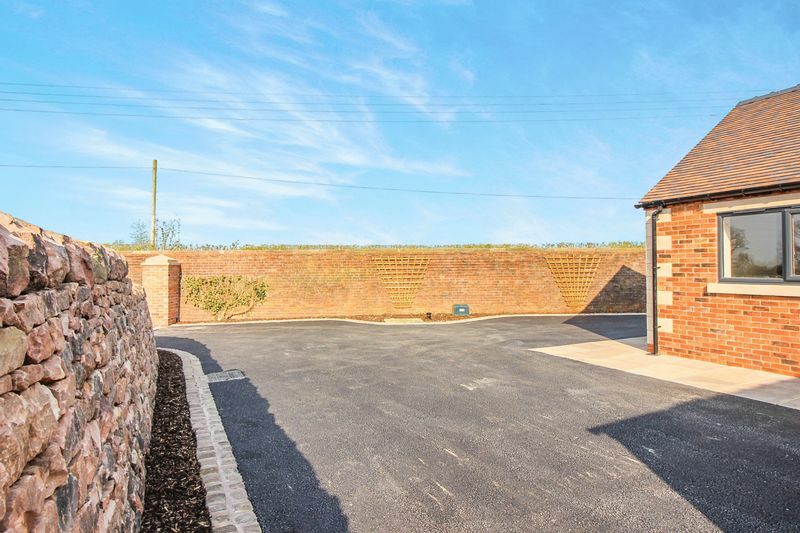 The Orchard is approached over a tarmacadam driveway serving this and one other property with gated access leading to a private tarmacadam driveway providing ample off road parking for numerous vehicles with cobbled insert and barked borders. 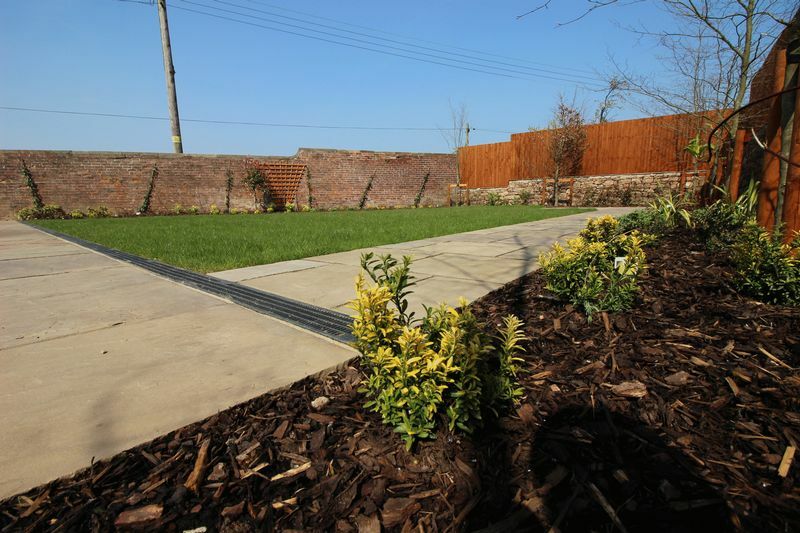 Indian stone flagged paths surround the property with a concealed oil storage tank and oil fired central heating boiler located to the rear of the property. External power, brush chrome courtesy lighting, cold water tap. Spacious gardens are situated to the rear of the property, presently laid to Indian flagged patio with adjoining paths and shaped lawns with a separate Indian stone flagged patio situated at the extremity of the garden to catch the evening sunlight. Adjoining barked boarders which are being planted with mature trees.